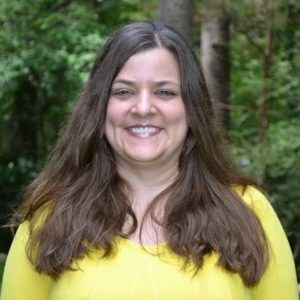 Dr. Wilson is a licensed psychologist and came to HRC in January 2011 from her position as a staff psychologist and coordinator of the group psychotherapy program at Auburn University’s Student Counseling Services. Dr. Wilson graduated with her doctoral degree in Counseling Psychology from Auburn University in 2008 after completing her predoctoral internship training at the University of South Carolina’s Counseling and Human Development Center. She provides both individual and group psychotherapy to adults (ages 18+) with a variety of presenting concerns including: depression and anxiety; trauma; family-of-origin and relational issues; grief and loss; adjustment/transitional issues; and identity and/or developmental concerns. As she has a strong background in the provision of individual and group psychotherapy in university counseling center settings, Dr. Wilson particularly enjoys working with university students (both undergraduate and postgraduate). I believe in the healing power of relationship. I strive to create with all of my clients a foundation of attuned connectedness, unconditional respect, and emotional safety. This creates a stable, secure base from which individuals can explore obstacles to their well-being and psychological health. My approach to clinical work is integrative and blends strong elements of psychodynamic, interpersonal/process-oriented, and mindfulness-based approaches with concepts and tools from cognitive-behavioral/dialectical behavior therapies. I believe strongly in the importance of awareness and insight as precursors to therapeutic change and continually strive to understand with my clients how their unique personal histories have influenced the ways in which they perceive and respond (often unconsciously) to themselves, others, and their environments. This understanding opens the door for learning to understand and respond to self and others in ways that are more healthy, effective, and satisfying. Within the context of the depth- and insight-oriented therapy relationship, I also strive to provide my clients with concrete tools and strategies that they can begin utilizing for symptom reduction and increased quality of life (i.e., mindfulness, cognitive-behavioral and dialectical behavior interventions). Appointments: To discuss scheduling an appointment, please call my voicemail directly at (919) 442-1125 and I will return your call as soon as I am able. I do offer some evening appointments.